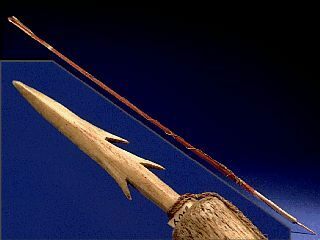 RRN - Items - The AMNH: 60.1/5646 - Sea Otter Spear? I The AMNH: 60.1/5646 - Sea Otter Spear? Item number 60.1/5646 from the American Museum of Natural History. Made in Alaska, USA ?